9 Moisturizer Mistakes You Are Committing! 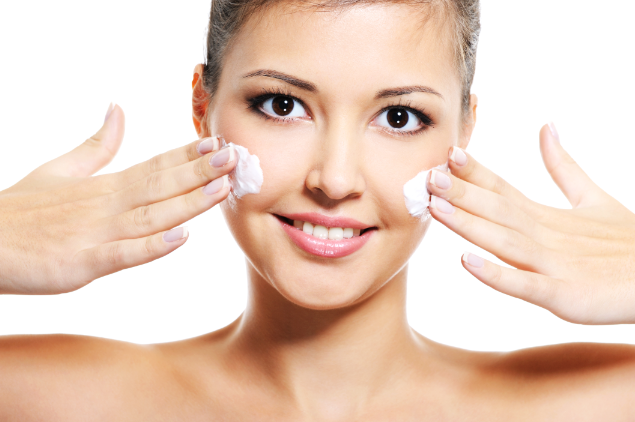 Moisturizer Mistakes : Cleansing, toning and moisturizing form a very important part of our beauty regime. Each and every part of the beauty regime has to be done perfectly to get the flawless skin you have always dreamed of. For instance, cleansing has to be done twice a day to remove dead skin cells, bacteria, dirt, oil, sweat and of course make up. The right way to cleanse your face is by gently massaging it in circles moving outwards of your face skin. The same theory applies to moisturizing your face, there is a proper method to do it. 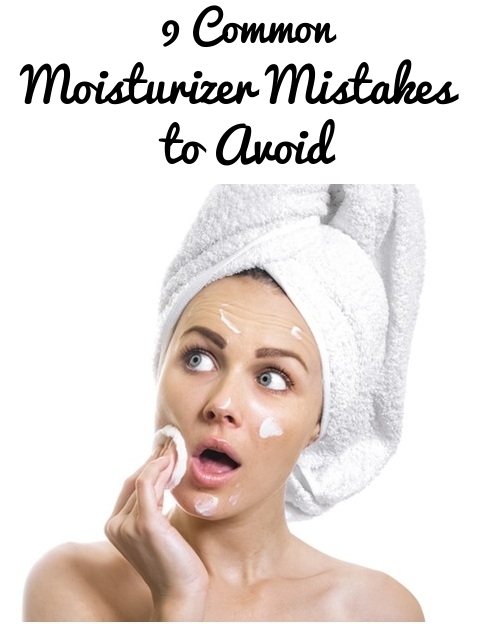 Hence, in this post we bring you the some very common moisturizing mistakes that you commit. Check to see if you have been doing it the right way all these while. It’s a part of the regime. You can’t just skip it. Also, hydrated or well moisturized skin makes you look more youthful as the light gets reflected in the correct manner. I have a friend with an oily skin who always justifies that she does not need a moisturizer as the oil in her skin does it for her. If that is exactly what you have also been thinking, here is a fact to prove you wrong. The reason your skin becomes oily is because its oil glands secrete more and more oil to compensate for the dryness. So basically, you just need to apply a light moisturizer or a little bit of sunscreen with a minimum SPF 30 before leaving the house in the day. For other occasions, you may apply face gel, it is usually water based, very light and non-greasy- simply safe to use. Every step of your skin care has to be done subtly, especially the application. This is where most women go wrong- thinking that a rough massage boosts the blood circulation of the skin. But this is a wrong notion. The blood circulation gets better when you gently massage your skin upon application, especially in a circular motion. I remember a beautician had once suggested me to use my little and ring finger for the massage. This is because they are weaker in strength, hence enables you to apply a very subtle pressure while you apply your moisturizer. As we are all aware of, you should purchase products according to your skin type. But sadly, not everyone follows this ultimate rule despite knowing its importance. I have seen teens purchasing moisturizers only because their favorite celebrity endorsed it. Allow me to warn you, this is a huge mistake. You should ALWAYS consult dermatologists regardless of age about any product you are about to use. It is okay to experiment with a product, but only after getting thorough information about it as it holds a great risk of damaging your skin. Our skin changes with time. Hence, it makes sense that our moisturizers should change along too! Sometimes, we have the tendency of sticking to the same moisturizer for years, only because you’re afraid to go for a new one or because you are too comfortable using it. But what you must know is that a product which once suited your skin might just not suit now. There are many factors to this such as pollution, dirt and not forgetting ageing. Exfoliation is a very important part of the skin care regime. Exfoliation removes the dry cells on the uppermost layer of the skin. Getting rid of the dead cells will give you a younger and smoother look. With good exfoliation and right amount of moisturizer you will get the best glowing skin effortlessly. Must read : How To Lighten Skin? I often see people make this mistake. They don’t let the skin take it the moisturizer completely before applying a layer of foundation. You can very well guess the consequences. Your skin might end up looking dry and dull if you have a dry skin. Besides, you might have to put on loads of makeup to actually look the way you want to. So the next time, even if you are in a hurry, let it sink. Or just lightly blot your face with a tissue before applying the foundation. We all get up with eye bags every morning. 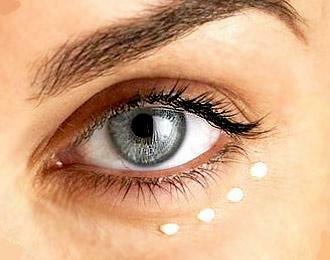 Eye creams are not always the best solution, maybe it is for some but just not all. Likewise, applying moisturizer on eye bags is a bad idea as there are chances for the puffiness to worsen. This however can be solved by placing an ice cube or cold spoon on your eyes for about 10 minutes. The puffiness will reduce immediately. You may consult a dermatologist to clarify. Must read : How To Get Rid Of Dark Circles Under Eyes? That would be all from us on ‘Moisturizing mistakes you are committing‘. Should you know more, we would love to hear from you.